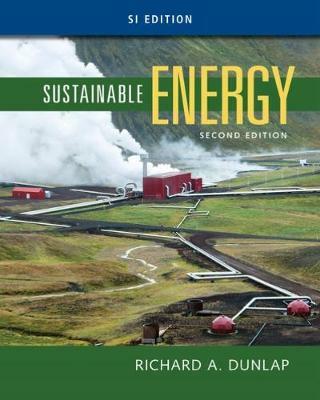 Explore present and future energy needs as well as options for continued use of fossil fuels and alternative energy sources with Dunlap's SUSTAINABLE ENERGY, 2nd Edition. Individual chapters thoroughly investigate each energy approach as the book covers both current energy production and future strategies. The author assumes you are familiar with basic concepts of freshman-level physics and chemistry. This edition emphasizes the complexity of energy issues and need for a multidisciplinary approach to solving energy problems. Quantitative end-of-chapter problems help you practice analyzing information, correlating data from various sources, and interpreting graphical data and interpolate values. You see real problems in producing and using energy as you realize that while exact calculations are important, a broad-based analysis is often most appropriate.